Just to show you how much I care about your comments to the blog! I'm posting an outfit post right away! 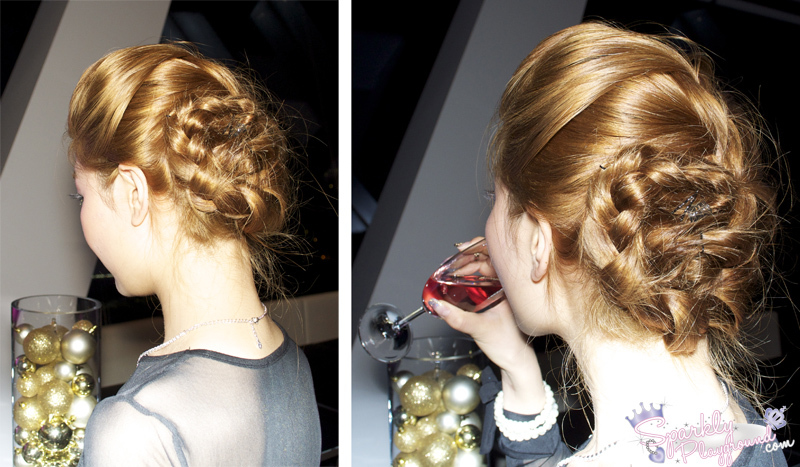 This is the outfit I wore last week to the L'Oreal Festive Party LeWow on December 12! L'Oreal gives me a luxurious feeling even for a drugstore brand. So I decided to try a holiday glam look! I can't believe I didn't take a full resolution, good quality of me standing. So a phone picture will have to do. Not going to lie, this dress was quite the challenge because of the deep v and see through back. But, I can't imagine what a girl would do if they were allergic to silicone. I'm super super proud of my hair do that night. Even L'Oreal's Official Hair Artist and Colourist Eric Del Monaco said I did a good job :) hehehehe. That makes me happy.